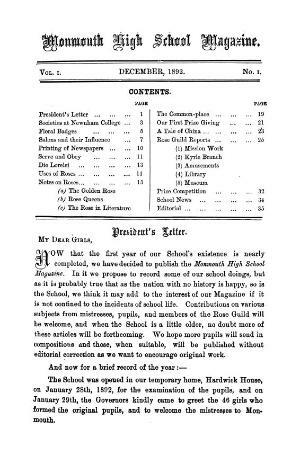 The periodical of Monmouth High School that mainly published school news. Originally a triannual publication it was published annually in 191 and 1912. Amongst the periodical's editors were the school's headmistress Nina Lückes and Etheldreda Carless.